This course will present 50 research-based ELL strategies that help teachers convey content material while simultaneously giving their students English-language skills. Step-by-step instructions and concrete examples will help teachers quickly and easily use the strategies in any K-12 classroom and subject area. New strategies and suggestions for assessments are also incorporated throughout the book. Educators will view the enclosed book DVD to apply researched-based instructional strategies and concepts for increasing English proficiency for students in school settings. Educators will learn about enhancing instruction through planning and visual scaffolding for language support and connecting communication to the real world. 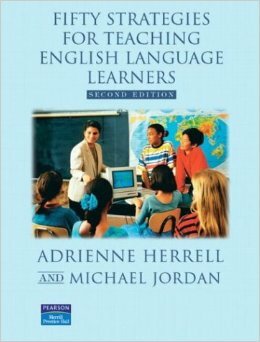 Participants will learn how to create language-focused lessons, including read aloud techniques, to support ELL vocabulary building. Educators will be exposed to academic language scaffolding and creating frameworks for language acquisition in skill level groupings while supporting individualized instructional needs. Participants will be presented with dictoglos, GIST, and syntax surgery concepts for manipulating English grammar to comprehend a variety of language forms. Educators will view the DVD 50 Instructional Strategies provided in the back of the book and complete activities to improve teaching techniques for ELL classrooms.